Originally hailing from Milan, Silvia Marlia has worked in various areas of the design field since 2002 for international companies as a furniture designer as well as a product and interior designer. Combining her passion for design and her educational background, she has run Sand (sandforkids.com) since 2012, a high-end furniture and accessories brand for children. In 2015, Silvia launched in Shanghai a growing family of furniture for adults. 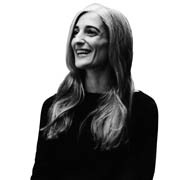 She is also a visiting lecturer at the Insight School of Interior Design, Hong Kong, on the subjects of children's environment and furniture design for children.